Though there is something so endearingly girly about matching your nails to your outfit, there is something extremely practical about having a nail-polish that won’t budge an inch through your entire honeymoon, or vacation. An hour and then some at the salon and you are sorted for at least two weeks! How delightful is that? Well, it depends on how careful you (or your manicurist) have been through the procedure. Read on to know about 7 gel manicure mistakes that are ruining your nails – so the next time you feel you are getting addicted to glossy nails that last forever, you consider the cons too. This list is also something you keep in mind when you get a gel manicure and can tell if your nail technician is guilty of these sins too. Before you even decide you want a gel manicure, please do some groundwork and ask around for reputed salons. A field visit to check out their gadgets and gizmos will be even better. Be mindful of the technologies that they are using. You want to make sure your salon is using the latest and greatest technologies like LED lights or the new CND Shellac [LED] bulbs. 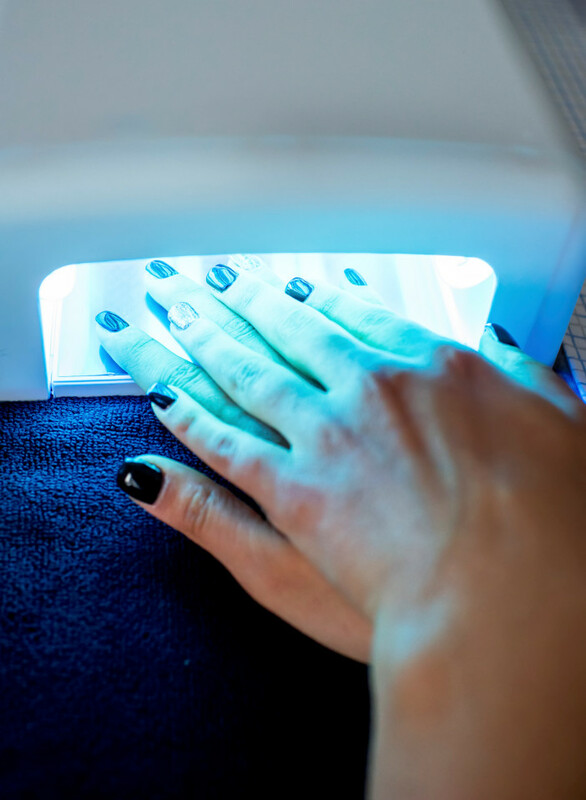 Not only are LED lights better for your skin (no exposure to potentially harmful UV), they also cure gel lacquer faster, meaning less time spent in the nail tech’s chair. Older systems involving UV light use bulbs that need to be cleaned and frequently changed. Failing to do so could cause the gel formula to curing improperly, leading to manicures that peel away within days. This also causes damage to your natural nail. Some cheeky salons actually swap special nail prep formulas (as in the ones specifically made for the brand of gel polish they are using) with a cheaper, less expensive nail cleanser like pure acetone. Don’t stand for this. Improper nail prep results in problems with how the gel cures to the nail. This may very well be the reason you can peel a gel tip off within the first week of a manicure. 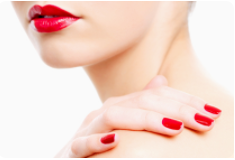 Poor quality products can also cause serious damage to your nails. Every gel manicure system comes with its own prep product that cleanses the nail’s surface of grime, dirt, and dust. That specific one is what your technician should be using. 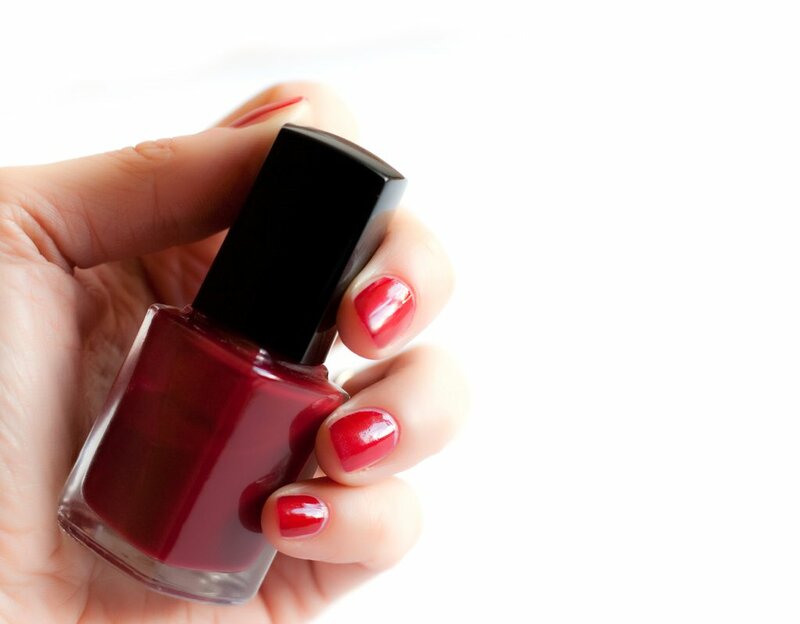 Despite popular belief, oils, creams, and lotions do not affect gel manicure’s longevity. Once the formula has cured, you can apply them all you want. 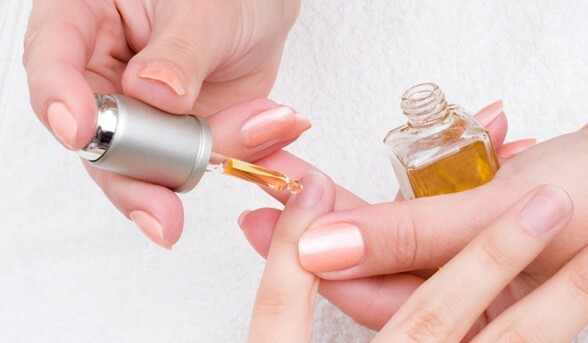 In fact, dabbing on cuticle oil regularly will actually help prolong the time between appointments. Nails are like sponge – if they get dried out too quickly, it can cause the nail to pull away from the gel . Instead, keep nails hydrated with cuticle oil and you will prevent this from happening. The timers set within the curation light devices exist for a reason! The gel requires all those precious seconds to cure and seal the formula to ensure a long-lasting manicure. Tempting as it may be, do not remove your hand to receive a call or play on the I-pad. Keep your hand flat and steady until you hear the beep. If you’re going to enter the world of gel manicures, you need make peace with the fact that you really do need to soak them off. Look at it this way, you save plenty of time on the application and long wear of a gel manicure, so the trade-off is committing to the delayed soak-off process. But if you want to remove the gel manicure yourself, choose a good and professional at-home removal system, or create your own with a 100 percent acetone solution. But whatever you do, do not pick and peel. Gels aren’t what ruin your nails. It’s the removal process, so make sure you take the time to do it the right way. If you feel a little pull or lift on the tip of your polish well before it’s time for a full-blown redo, ask your nail tech for a quick touch-up. 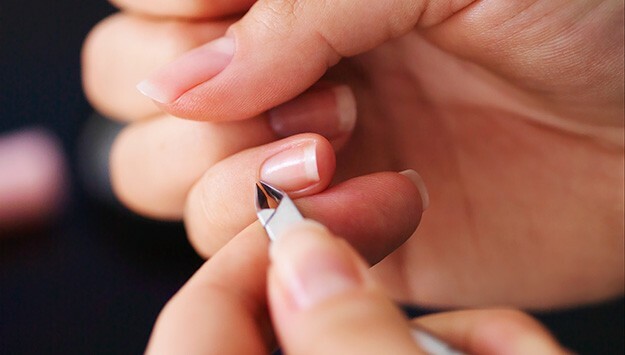 Picking and fussing with the lifted area will not only ruin your manicure but likely remove the top layer of your nail (yes, it can be painful too!). After a quick cleanse of the area with rubbing alcohol and a dab of nail glue, your technician will send you on your way with a perfect-again paint job. It’s not just a marketing gimmick, but every gel nail brand is designed differently. Each one features its own prep products, base coats, topcoats, and color. These are all specifically manufactured to work together to deliver the strongest and shiniest gel manicure possible. Mixing products from one system or another can mess with the results, making removal particularly challenging. If you’ve ever watched a technician struggle to remove a gel manicure, it might be that the gel layers are from assorted product lines — or that the remover is part of a different system — and these components are not reacting well to the solution. For best results (and ease of application and removal), stick to the same brand.